Remember when Second Life was all the rage? If you don’t, Second Life was a virtual world—a sort of second universe where players could don wings, change their gender, set up a hair salon, pub or art gallery and interact with other avatars (winged or wingless). It was also an immersive platform in which many universities, including Harvard, invested a lot of money. Back in 2006, after all, there were high hopes that setting up a “virtual campus” on Second Life was the wave of the future—at least in online education and training. Of course, as we all now know, it wasn’t. Back then, because of the hype, everybody wanted to use it, so it may not have been the most appropriate tool for people using it. Ultimately, no matter what, this is always about the teaching. It always has to be about the teaching and learning. If the tool doesn’t fit the need, then it shouldn’t be used. For instance, in medical education, it’s a big deal. They have these emergency rooms where an avatar will go in and has to do things in a particular order in order to be able to be evaluated properly. First, you wash your hands, and then you do this, and then you do that, so they can assimilate that without someone actually ever stepping into an emergency room. If Kelton’s words reflections matter, it is because in 2016, we’re now facing another moment of excitement in the future of online education and training—this time driven by the increasingly affordable virtual reality technologies on the market, including Oculus. But before we all run out to buy an Oculus and start scaling up, VR-based training programs, there is reason to step back and consider just what we might learn from Second Life’s expensive but short-lived life in education and training. Just as the codex (yes, just any old book) remains a great learning tool in some context, there is no question that many current education and training tools, like short and easily digestible mobile learning units, are not about to go out of style. Likewise, many new trends prove short-lived. Remember CCTV in the classroom? What about audio-cassette distance education course? Perhaps, you once took a course that came with a CD-Rom? You get the picture. Not every learning trend is permanent. Most represent a mere step in a process. This is partly because new is not always better or at least not always better for the specific demographic or context. Depending on the size of your organization, investing in new technologies for training early on may or may not be in your best interest. Over time, best practices develop and the cost of the technologies comes down. While there is much to be gained from jumping on board at the onset, the start up cost for hardware and software—not to mention research on what does and does not work about the new technology—is typically a cost that only large organizations (e.g., tier-one research universities or large technology companies can afford to absorb). The new VR hardware that allows you to have a truly immersive experience by being in the experience, not just looking at the experience. 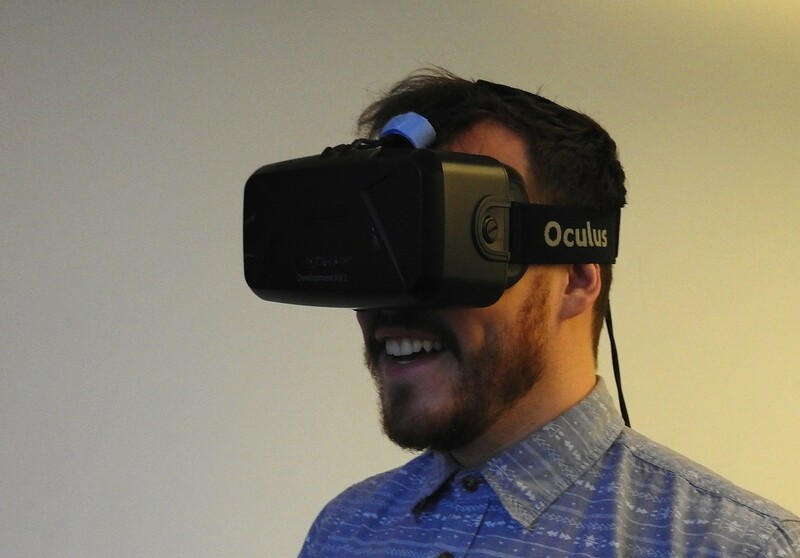 I think virtual reality will play a role where you can put students in context of places. The way I learned history back in my day, it couldn’t have been any more boring, reading textbooks about the Romans. Take me there. I’m a much more visual learner; take me to Rome and let me walk around with the Romans at that time and see what it was like back then. That will happen. It’s already happening where I can actually go to places, where I can time-travel and immerse myself into a different culture or a different situation. Where I will be able to work at a factory without having to go to a factory and work there, or go to a different culture and live with people at whatever time or place. Altberg’s prediction—the time is coming when we’ll able to work in a factory without going to an actual factory—may sound like science fiction, but in fact, in many respects this is already happening. After all, in 2016, a growing amount of office work happens outside the office. You can be “at work” on a park bench, beach or on a plane. What this means for workplace training, however is also important. In short, as more work is done virtually, virtual training will no longer be a copy of real life. If the workplace is virtual, VR-based training will in essence become more realistic than ever before.